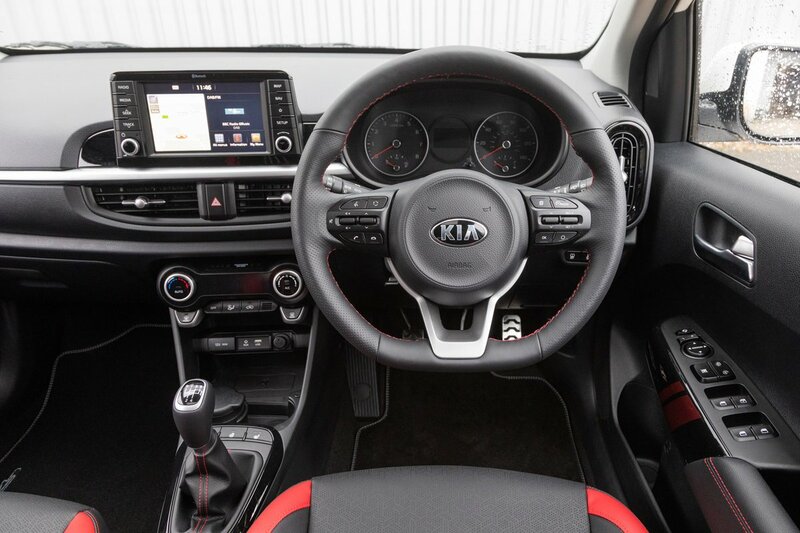 Kia Picanto Interior, Sat Nav, Dashboard | What Car? The driver’s seat is comfortable and supportive, with enough side support to stop you from sliding around through corners. Thanks to well-positioned pedals and a standard driver’s seat height adjuster on all but the entry-level trim, it’s easy to find a comfortable driving position. The upper versions even get a front centre armrest to lean on. 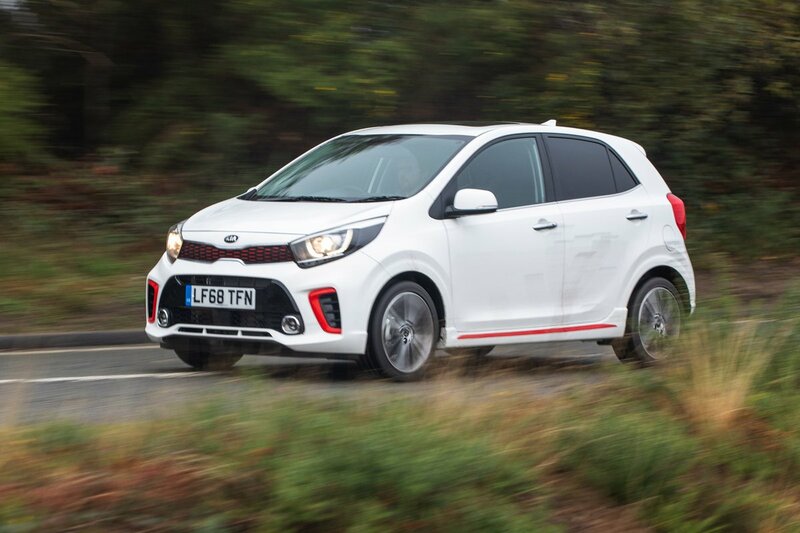 Indeed, the only real barrier is a steering wheel that adjusts only for height and not reach – although this is the case for all of the Picanto's rivals. The dashboard layout is simple to understand and the well-placed buttons are big enough to spot easily on the move. Seeing out of the front of the Picanto is made easy by slim front pillars and a deep, wide windscreen. The same is true when you’re looking out of the front side windows to deal with junctions and roundabouts. 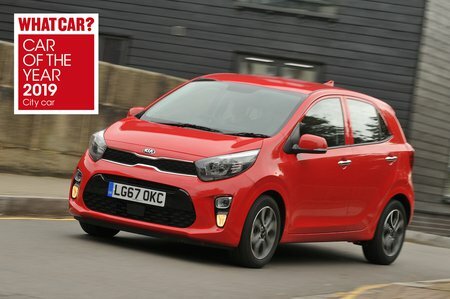 The rear side windows are slightly smaller, but rear passengers are unlikely to feel claustrophobic: the Picanto is relatively bright and airy in the back compared with most city cars. Over-the-shoulder visibility for the driver is less impressive because the rear pillars are quite chunky and the rear screen is relatively small. It's a shame, then, that rear parking sensors and a reversing camera are only available on the upper trims – 3, X-Line, X-Line S and GT-Line S, with no option to add them on cheaper models. In 1, 2 and GT-Line trims, there’s an AM/FM radio with a tiny 3.8in monochrome screen, and 1 trim doesn’t even get Bluetooth. Quite frankly, that's like stepping back into the 1990s. Fortunately, the upper trims get a much more up-to-date 7.0in colour touchscreen, with a DAB radio plus Apple CarPlay and Android Auto smartphone mirroring as standard. On 3, X-Line S and GT-Line S models, this also includes in-built sat-nav. The touchscreen is easy to use because the menus are intuitive and the screen quick to react to inputs – so much so that it’s one of the best systems in the class, matched only by the Hyundai i10's nearly identical version. Range-topping X-Line S and GT-Line S models add wireless phone charging, but those trims are too pricey to recommend. Like every other city car, the Picanto's interior isn't graced with soft-touch materials that give you great joy to behold. However, the plastics have been textured in such a way that they don't look or feel too cheap. Everything seems well bolted together, too, and its feeling of solidity is almost up there with the Volkswagen Up and better than most of its rivals. The buttons and switches also feel nicely damped by class standards, giving the impression that they’ll still be doing their job a decade down the line.